Fairy Party Fun at the swish of a magic wand! 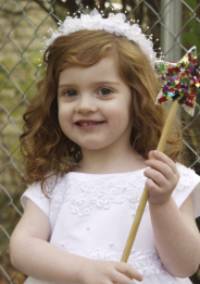 Fairy birthday parties are always a popular choice with slightly younger girls. They tend to be slightly less boisterous than some parties. But the modern fairy still enjoys a good giggle! You may like to cover your invitations in fairy dust (glitter) or have fairy confetti fall out when they are opened. Pink, white, lilac and sky blue are the colours for fairies or light greens and whites if your fairy party is to be outside. Floaty fabrics and cobwebby netting are great. Fairy lights (of course) and little garlands and other decorations from around the house can be pressed into service. Use fishing line or thin cotton to hang silver stars from the ceiling. If you are outside you may like to create a lovey green fairy bower with plants and leaves. Many young girls will already have various fairy bits and pieces. If not little white tights and floaty dresses are the order of the day. Little ballet type dresses are easily adapted. Wings can be made from bent wire and white netting. Odd little bits of shimmery fabric and netting can sometimes be picked up cheaply from the off-cut counters of fabric shops. 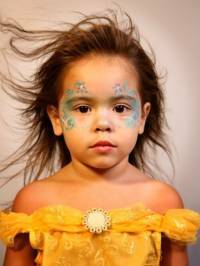 Face paint swirls and flowers look great on arms and hands. Its probably not a party for boys but any brothers or young fellows who do come along could always come as little beetles or other fairy party bugs or even little elves or hobgoblins. As your fairy guests enter you may like to give each one a sprinkling of magic fairy dust. You could also apply a little flower or stars to cheeks and foreheads. Another nice idea is to tie a little bell on a ribbon around the ankle or wrist of each fairy guest. Fairy party games should be sweet but still lots of fun. All fairies love a good laugh! Prepare a fairy throne by covering a suitable chair with lovely fabrics. The other fairies could scatter flower petals or confetti around and give each princess in turn a little clap. They could also all blow lovely floaty bubbles into the air around each new princess. If at the end it might also be a good time to give each a fairy party favour. 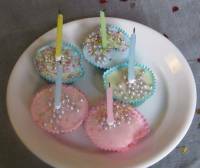 The fairies decorate their cakes in cute fairy designs each with a candle in the middle. When the candle is lit they should make a wish. When they blow it out with a magic blow their wish is sure to come true. Your fairies could either make their wishes and light their candles during the fairy party tea or take them home. Set up a magic wand craft station and help your faries design and make beautiful fairy wands. Add a paperclip to each heart. Make and decorate your wishing well. This can be as elaborate as you like but at its very simplest push a sheet of coloured material into the box / bucket with the excess hanging over the sides. Put your wish-hearts carefully in the well. The fairies take turns to fish for a wish heart. The magnet will pick up the paperclip and heart for each fairy. A small bottle of Mum's Magic Fairy Dew. Note -Mum needs to get up at dawn and collect this from the petals and leaves outside...... you will won't you?!......... If not a small bottle of perfume oil might just do... I suppose! Set up a perfume station and help your fairies create jars of beautiful fragrance to decorate and take home. Very similar to musical statues. The fairies dance their magic woodland dances. But when the music stops they must be still as a statue. A fairy that fidgets is out! This is very similar to musical chairs but with a fairy party twist. Cushions are put on the floor in 2 neat lines. The fairies dance around these toadstools. When the music stops each must hop onto a toadstool. But there is always one too few for every fairy to find a perch. Continue until only one fairy is sitting on a toadstool. The fairies all sit in a circle. One is chosen as the guesser and is taken away or blindfolded so she cant see what is happening. The rest of the fairies then all change position and one has the magic sheet draped over them. The guesser is then brought back and has to tell who is under the sheet by looking round the other fairies. Do you remember the fun of making daisy chains in the garden. Carefully splitting the stalk with your fingernail to pass the next daisy through. It makes a great fairy party game too. Prepare some daisies out of paper or card. Cut a simple slot in the stalk of each one. The daisies should be about 30cms long. Hide the daisies around the room. The more you have the better. Line your fairies up in two teams and when the fairy music starts the first fairy from each team runs to find a daisy. She brings it back to her team and the next fairy runs off to find number 2. When she returns with it she has to start the chain by joining it to the first. This is done by slipping it through the slit in the stem exactly like a real daisy chain. The minute it is in place fairy number 3 is off looking for her daisy. The game continues like this with the daisy chains getting longer and longer. Carry on until everyone has had a go or you have a chain of 12 daisies or a more appropriate number. Alternatively you could say which team has made the longest chain after 5 minutes. Tip - you might like to have a stapler handy for running repairs should fairy fingers be not as nimble as their owners thought. After this game you could always join the 2 daisy chains together to form a circle. The fairies could use this to do a beautiful circle dance. 2 Sets of fairy butterfly wings - either buy these or make them yourself by copying a large butterfly shape onto a piece of card and decorating. Fold in the middle and add some ribbon loops for hand holds. Divide your fairies into 2 teams. 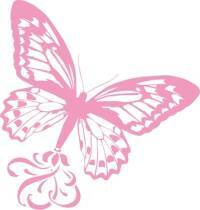 Ask "Who would like to be a beautiful butterfly?" One from each team is chosen. "But first of course they have to be a caterpillar. " The chosen children stand still with their arms either by their sides or above their heads (best for younger caterpillars). Then fairies then wrap them around in toilet roll to form nice cocoons. The cocoons are helped to lay down on the floor. Everyone then has to sit down in a large circle around them. "Then we all have to be quiet .......Shhhhh!" "Oh I think our cocoons are starting to move do you think the time has come? Lets watch and see"
The cocoons slowly twitch and wriggle and eventually break free of their cocoons. At this moment you quickly give them a pair of wings and they flutter around the circle like the beautiful butterflies they have become. Variation -If you did not have too many children and prepared enough sets of wings (or this could become a great activity for the children prior to the game) you could have all of them become cocoons wrapped by the adult helpers and then have a mad flutter as they all changed into butterflies. The fairies pair up and are blindfolded. Each pair are then given a block of clay or dough. Between them they have to model a beautiful little fairy with legs arms and wings. After 2 minutes time is up. Off come the blindfolds and all the fairy sculptures can be judged. There is usually a lot of laughter at some very lumpy fairies! A wicked fairy has put a spell on fairyland. It will become the gloomiest place in the world. Everyone will frown and scowl at each other all the time. Fortunately a good fairy is trying to help. She has made a magic smile. But only one person can wear it at any time. Sit the fairies in a circle. They must all scowl and frown. But then you give a magic smile to one of them. Immediately she has a lovely broad fairy grin on her face but she may only keep the smile for a few moments. Then she has to wipe it off her lips and pass the magic smile to the next fairy to put on. The minute she has passed it on she becomes gloomy like the others. All except the next fairy who is now wearing the magic smile. In this way the smile is passed around the fairy party circle. When it has been around a certain number of times (depending on the number of children but 3 or 7 are often good lucky numbers for fairies) the spell will be broken and fairyland can be happy again! What a great way to start or end your fairy party! Have a great fairy party!